What You Should Call Me? 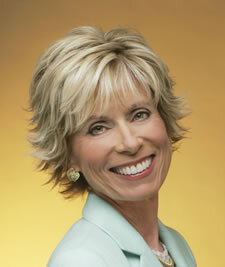 Dr. Laura Schlessinger, syndicated radio host and popular author on relationships, has apparently stirred up the hornets’ nest of what different ethnic groups want their group to be called–both what names are acceptable and what are offensive. It is a narrow twisty trail to negotiate with an almost unlimited number of ways to get into trouble. It is not a difficult thing to do, and regardless of how you perceive your ethnicity and the importance you attach to that perception, the person standing next to you likely has no idea what either of those are. Many African-Americans have either directly witnessed or heard family members and friends mention how emboldened some of their white co-workers have become in expressing their racist views since Obama’s election. The rationale seems to be that, since there’s a black man leading the nation, it’s okay to say almost anything. On black-oriented radio shows like The Tom Joyner Morning Show and Rev. Al Sharpton’s Keeping It Real, African-American callers feel the disrespect President Obama receives from the Tea Party, conservatives in Congress and on the Internet is tied to his race and not his politics. Respect, disrespect. Respect, disrespect. The motivation of the speaker and the interpretation of the hearer, and vice verse, are practically impossible to discern. On the other hand, in a culture that has a history such as one would think that over the course of five hundred years we might have picked up a clue, maybe even two, on the issue. But it also appears that we haven’t gotten there yet. So that raises the question: What should you call me? I’m not kidding, nor am I attempting to belittle or criticize those who have suffered untold offenses, some to the point of death, simply for the color of their skin or the place from which they or their ancestors came, or religious beliefs, or sexual desires. But I do contend it is a legitimate question to ask, because I also contend that as humans have evolved, despite the growing sophistication of our brains and intellect, like an archaeological dig, the deeper down you go, the further back in time you go. In this analogy, our cultural identity is one of the oldest layers in the dig. Perhaps we should be calling this group or tribal identification. I took enough sociology and anthropology in college to know that people groups, not only have a sense of collective cohesion, but have a sense of language cohesion as well. Certain words belong exclusively to the tribe and are never spoken in the presence of strangers. Strangers who discover these totem words can be ostracized, hunted or even killed. Certain other words are considered “fighting words” a term we’ve all heard, but in our culture, they have disappeared over time. Only in the past twenty years as we have found ourselves confronting cultures that have retained much different senses of place and language, have we discovered that “fighting words” is a concept that can be alive and well, and we use them at our risk. What should you call me? By definition of the United States Census Bureau, I am a White American, often referred to as Caucasian, Europid or Europoid. To be honest, I have never heard of the latter two terms, although the term European is now being used as a designation of origin not of race. But to the best of my knowledge, not one of my family ever lived near the Caucasus Mountains, even it it does have the highest peak in Europe, Mt. Elbrus at 18,510 feet (5642 meters). 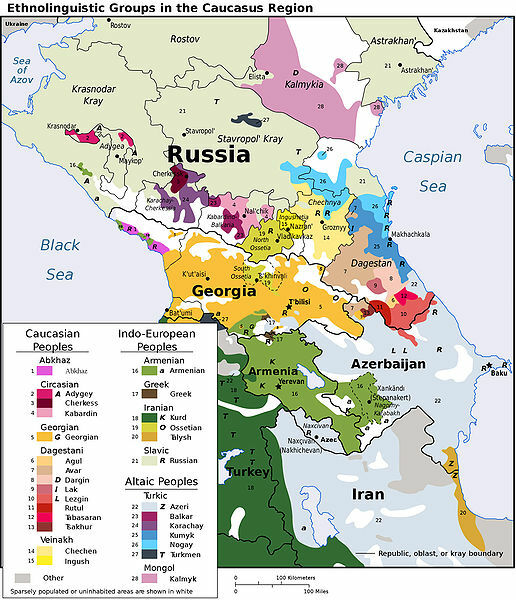 Sitting between Russia to the north and Turkey and Iran to the south, its largest current nation is Georgia. A quick look at my personal genealogy shows that on my mother’s side, I have Bohemian (Czech) and Scottish, and on my Father’s side I have Dutch and German. I can claim to be a Europid, but frankly find the term is not all that appealing. So do I like being called a “White” American any more than the others. Well, no. What should you call me? You’ll have to guess. It’s my totem word. To me it has meaning, and you not only have to guess, but decide if calling me the term will be more offensive if you say it to my face, or should I say, write it in a comment? This entry was posted in Extreme Thinkover, Linguitics, Race and Language, racial intolerance and tagged African-American, Black, Caucasian, Dr. Laura, drlaurasblog.com, ethnic identity, European, Extreme Thinkover, language and profanity, language use, Ogham Consonant List, racial intolerance, racism, The Grio, Totem by Dr. David Waggoner, PhD. Bookmark the permalink. Is racism in the eye/ear of the beholder? Is there a difference between a racist using the n-word and insensitivity on the part of a non-racist? If so, does it matter to the person taking offense? Why is there a difference between blacks calling other blacks the n-word and a member of another race even uttering the n-word? I do not have the answers. But as far as I am concerned, using the n-word is at best insensitive and at worst racist, and never comes to my mind. In those that think of the n-word, perhaps self-reflection on why that is would be a teachable moment for that person.